After a relaxing day of Black Friday shopping (yes, believe it or not), we set out to meet Goose and Mrs. Goose for some eats. 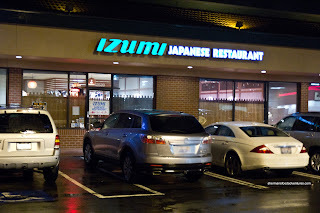 Much like last year, Goose suggested we hit up a Japanese restaurant near our hotel in Kirkland. Really? 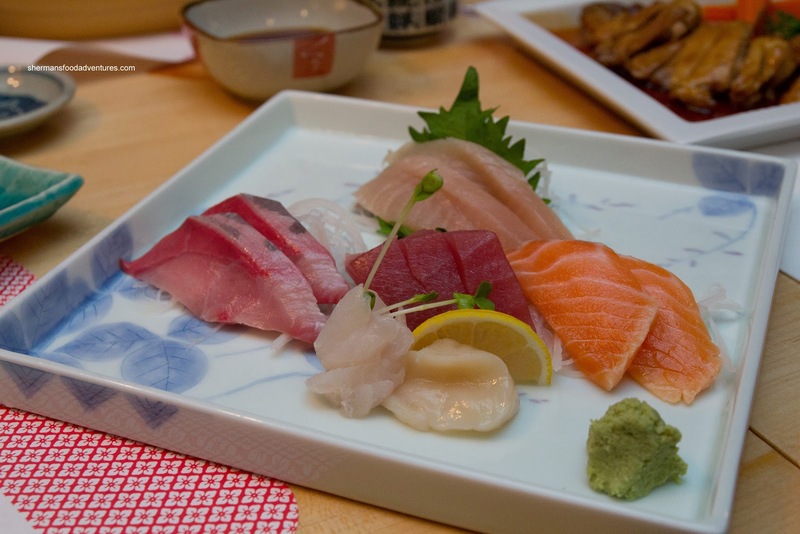 A good authentic Japanese restaurant in a strip mall in Kirkland??? Well, I guess we shouldn't second guess Goose as his suggestion of I Love Sushi last year was a hit. 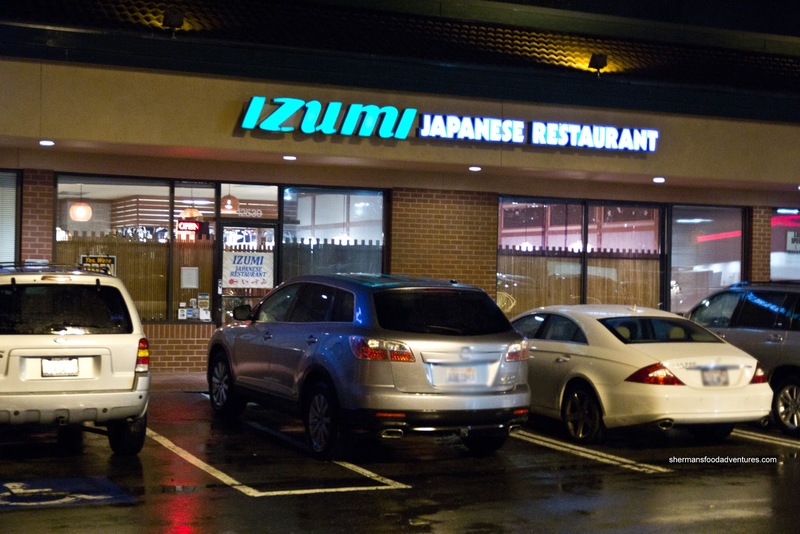 And much like I Love Sushi, the prices at Izumi are on the higher side. Although we noticed that they weren't as scary if we ordered a la carte as opposed to the full meals (which included, green salad, sunomono, miso soup and rice). We weren't sure if the roughly $5.00 to $7.00 premium was worth it. So we ended up getting almost everything a la carte and adding bowls of rice to the meal. We started with a good portion of Tonkatsu which was a relatively moist pork cutlet. 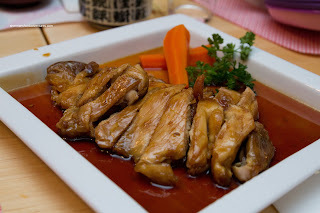 It wasn't juicy per se, due to the lean nature of the meat, yet was surprisingly not dry. The panko breading adhered to the meat and was really crispy and light. 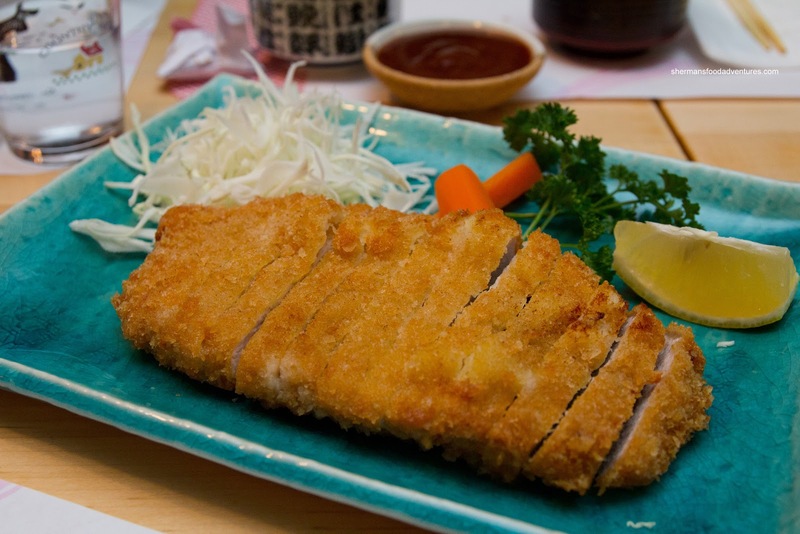 We liked having the tonkatsu sauce on the side as it didn't drench the cutlet. Next was the small serving of Tempura. What it lacked in portion size was made up by its quality. The batter was light, crispy and not greasy. Furthermore, the ingredients were top-notch. Although the Chicken Teriyaki was a healthy portion, I wasn't that fond of it. The chicken was rather dry and hard. I did like the mild-tasting sauce (despite the massive amount of it) as it was not too sweet nor too syrupy. Mrs. Goose had the Sashimi Meal which was served in a boat. Since it was the full meal, it included all the sides. Not wanting to raid her meal, we ordered the Large Assorted Sashimi which was essentially the same without the extras (and the nice serving vessel). 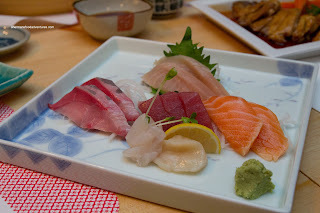 The slices of fish had a nice sheen and were fresh-tasting.. Textures were right and so were the flavours. We also got a few rolls including Hotate, Spider and Futomaki. The Hotate Roll was good with big chunks of sweet scallop. 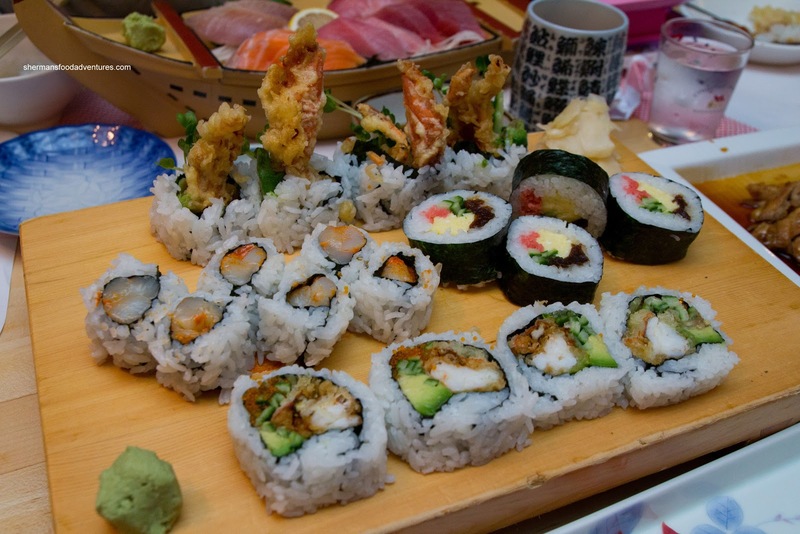 I liked the sushi rice as it was chewy with good flavour. 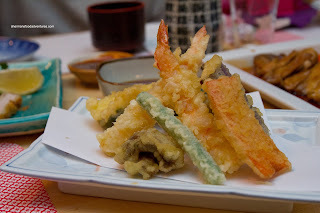 The Spider Roll was fantastic as it was packed full of crunchy soft-shell crab. The Futomaki was well constructed and also good. At this point, we were wanting more and got another order of the Tonkatsu just to make sure we didn't leave hungry. That pretty much sums up our meal at Izumi - very solid eats which are generally served in modest portions. Prices are not too bad except for the full meals which get dangerously close to $20.00. Yet all-in-all, a surprisingly authentic Japanese restaurant in an odd location.